I scared a new Mom (a 2 inch fish!) yesterday, and got to watch her signal her newly freeswimming fry, open her mouth and have all 30 of them wiggle into the safety of her mouth. She picks them up whenever she detects a threat - first, she signals them to lie low, and if the threat continues, she scoops them up. 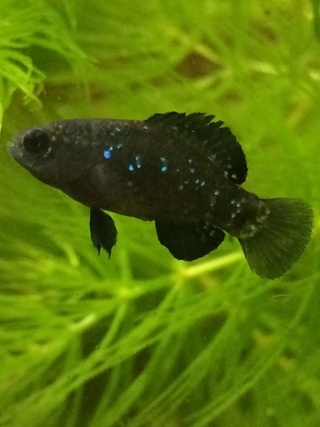 Sadly, most hobbyists who breed their fish only keep Lake Malawi Cichlids. They are primitive mouthbrooders - carrying their eggs and larvae in their mouth until the young are able to swim, then unloading them forever. It's not very interesting. 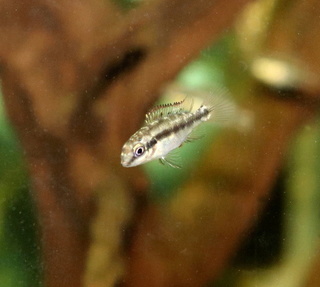 The ones I'm watching are Pseudocrenilabrus - dwarf mouthbrooders with no English names yet. They are found in eastern and southern Africa. The mother continues care for a couple of weeks after the fry are out and feeding, and for aquarists, the show is way more intriguing. In the past, I had some West African Chromidotilapia, where both parents traded the young from mouth to mouth. Talk about an active kiss - they would trade off the babies to give each other a chance to eat at feeding time. It was a lovely sight, though the 6 inch fish were a little large for many tanks. There are also South American Cichlids that show the same behavioural range with mouthbrooding, although the SA examples tend to be in the 6 inch plus range. These fish were common in the 60s, but the one species around then, Pseudocrenilabrus multicolor, the Egyptian mouthbrooder, was colourless and needed more than the 5 gallon tanks people wanted to keep it in. As it lost popularity, so did the idea of keeping any of the group. Breeding fish is one of the fun things in our hobby, but when there is excellent parental care like this, it is doubly attractive. Keeping and breeding dwarf mouthbrooders is something I think most of us should mark down as a future hobby project. It is really delightful to see. 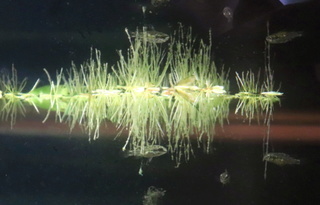 This is a male of a Pseudocrenilabrus with no scientific name yet, from the Lufubu River, which feeds into Lake Tanganyika. A pair of Pseudocrenilabrus philander "dispersus" was at the last local auction here in Whitby. They were one of the rarities of the night. Beautiful fish, and after reading this I wish I had bid on them. Supposedly finatics aquarium in Toronto has more in stock. 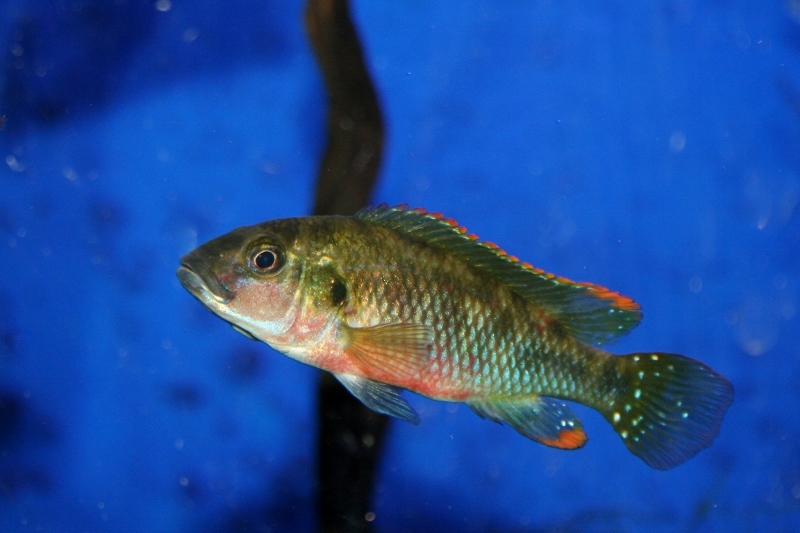 I have seen similar behaviour in my Geophagus steindachneri; a fish that is more common. Females are pretty colourless but males are more pretty. The steindachneri are also maternal mouthbrooders. 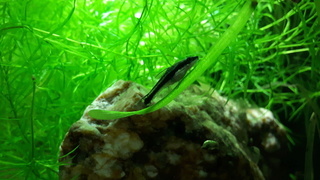 Their down side is that they dig which for a planted tank especially with dirt is deadly. It is very similar behaviour to steindachneri. These guys dig less (they aren't eartheaters) but the males do like to make conical pits to impress the females.